Lindsay High School Facilitators can see Learner work and data each day, including which Learners have yet to master certain learning objectives. Facilitators can then determine any potential supports or interventions needed to help ensure Learners are continuing to improve. 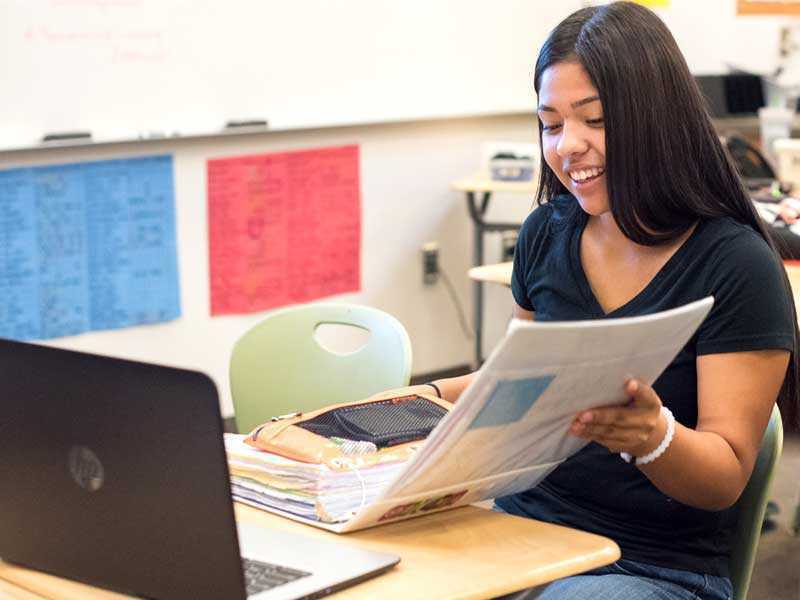 Facilitators can see multiple sources of data, including California English Language Development (CELDT) scores, Scholastic Reading Inventory (SRI) scores, and each Learner’s progress in their playlists (English Language Arts playlists and playlists in other content areas). Almost all of the Learner’s data flows through this system, except reading data from a few other programs, which Facilitators and Learners review separately. Completes assignments in the Empower system. Inputs grades into Educate/Empower system. Determines which Learners need additional support, such as small group instruction. Provides an intuitive system for Facilitators and Learners to track progress. This is a student view of the Educate/Empower gradebook.